If you are a construction or fluid processing professional looking for cost-effective solutions to rising industrial pump equipment maintenance costs, then it is time to partner with Phantom Pumps. 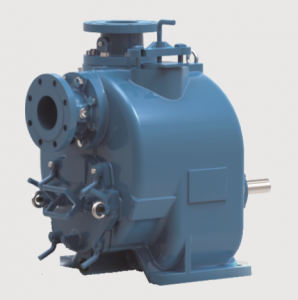 We are an industrial pump manufacturer of self-priming centrifugal industrial pumps that are specifically designed and manufactured to meet and exceed the highest industry standards. Every sewage pump, irrigation pump, chemical process pump and other pump in our line is always assembled, tested and packaged in the United States for quality control and assurance. We have application engineers on staff and a global network of Authorized Distributors that provide unparalleled expertise, service and technical support to industrial pump users worldwide. All Phantom Pumps industrial pumps are compatible and interchangeable with many higher priced industrial pump models from companies such as Warman, Gorman Rupp, ESCO, All Prime and other well-known manufacturers. Our slurry industrial pumps have proven efficiency gains of up to 7% and have up to 7,000% longer component wear life. Phantom Pumps slurry pumps are ideal low-cost replacements for Warman AH Series pumps. It is easy for organizations to lower repair and maintenance expenses by substituting Phantom Pumps PL and PH replacement parts for compatible pumps such as All Prime S Series sewage pump models, Gorman-Rupp T Series chemical processing pump models and many Durco ANSI pump models. In-house service technicians can count on the pump experts in our Phantom Pumps Parts Department as well as their local distributor for assistance with cross-referencing our replacement parts to compatible name brand equipment. Sewage pump and other industrial pump replacement part orders are always processed and shipped quickly to operations in Georgia, Louisiana, Maine, Michigan, Ohio and elsewhere in the USA to keep processing downtime to a minimum. Contact us today to learn more about reducing your pump related costs with our high quality pump products.